Copies of my new co-edited book now received! 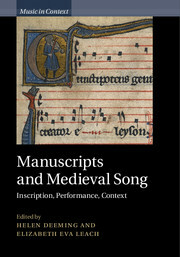 Helen Deeming and I have worked with Sam Barrett, Jeremy Llewellyn, Rachel Golden, Gundela Bobeth, Henry Hope, and Sean Curran to produce ten chapters, each focussing on a single manuscript containing medieval songs. Since the manuscript sources of medieval song rarely fit the description of ‘songbook’ easily, the chapters detail the place of songs (with and without musical notation) alongside the diverse contents of these ten books. The sources contain Latin, French, German, and English materials from across Europe during the Middle Ages and each chapters attempts to show what the books and the songs within them meant to their medieval audiences. This volume is designed to be read in conjunction with online, open-access images of most of the sources mentioned in its pages. I hope to be able to blog links to my own chapters in this at a future point, the CUP legal department permitting! 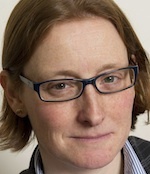 Meanwhile, here is a list of the manuscripts treated, with links to online images where they exist. I enjoyed your book on Machaut, “Guillaume de Machaut: Secretary, Poet, Musician”. Machaut has been a composer I’ve been interested in for years and your book was a treasure trove of information. I’d love to have the resources to do extended study in his period and work. Thank you for your work. Next Next post: Douce 308 complete images now online!